This Hoover Vision One-Fi Vacuum Cleaner communicates with your smartphone via Wi-Fi, sending notifications when it’s time to empty the bin or clean the filters. The Hoover Wizard app also lets you track your usage statistics, such as distance covered and time spent cleaning, along with video guides, top tips and support. Vision One-Fi is A*** rated for excellent dust-pick up, low emissions and energy efficiency. 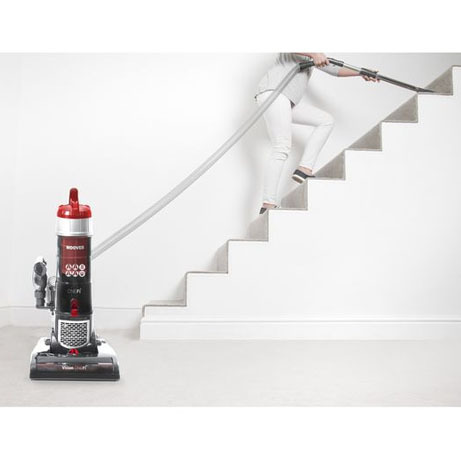 Other features include a long 4.5m stretch hose, 3L capacity and a pets turbo brush. Vision One-Fi communicates with your smartphone via Wi-Fi, sending notifications when it’s time to empty the bin or clean the filters. The Hoover Wizard app lets you track your usage statistics, along with video guides, top tips and support. Vision One-Fi is AAAA rated, with Intellicare technology to help protect your carpets. Intellicare technology helps to protect your carpets by decreasing the power and the speed of the brush bar when you stop moving. 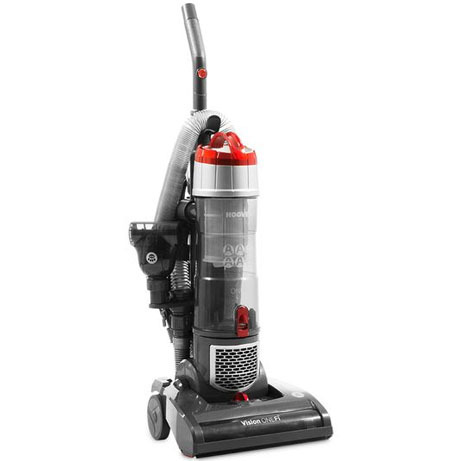 When the cleaner is moved or the hose is used, it automatically reverts back to full power. 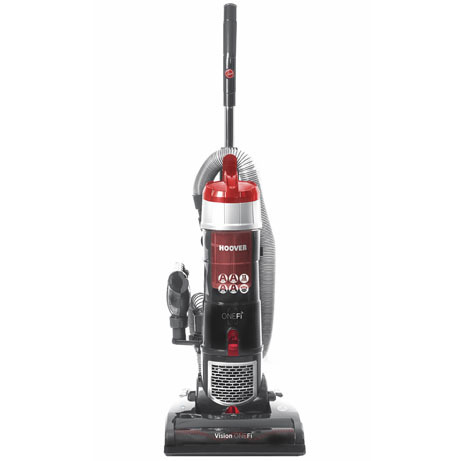 Pets vacuum cleaners come with a specialist turbo brush which is specially designed to effective loosen and lift stubborn pet hair from carpets and furniture. Achieves the highest possible ‘A’ ratings for dust pickup in lab tests on hard floors and carpets, along with an ‘A’ for low emissions, making it suitable for allergy sufferers, and an ‘A’ for energy efficiency. Our upright vacuums with Above Floor Cleaning capabilities come with either extension tubes or removable handles as well as tools that help you to clean areas around your home that are not at floor level. This could be hard to reach ceilings, curtains or furniture. Use your smartphone or tablet to receive notifications via Wi-Fi, letting you know when it’s time to empty the bin or clean the filters. The Hoover Wizard app also lets you track your usage statistics, such as distance covered and time spent cleaning, along with video guides, top tips and support. The brush bar on your vacuum can be raised and lowered to suit the surface you are vacuuming. 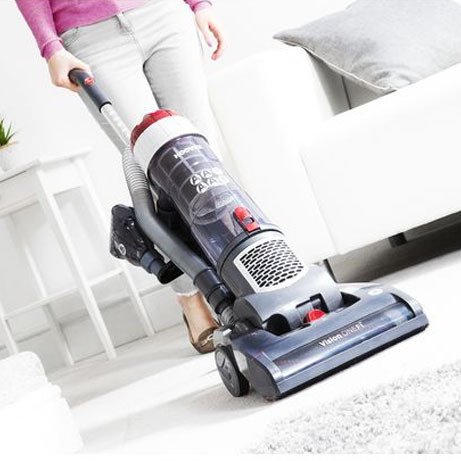 This helps you optimise the suction and manoeuvrability for all the different floors in your home, whether it’s your kitchen tiles, a fluffy rug or the bedroom carpets.